So my friend is dating this guy and his parents were visiting for the weekend. I am not a fashionista, however, I do have practice in meeting the parents, since my boyfriend and I have been dating for years. My friend asked me for some ideas on what to wear. I thought I would write a little post about it, just in case there are more girls out there wondering the same thing. First, what is the venue? Are you going to a lacrosse game or going to dinner? Since most girlfriends will meet their boyfriend’s parents at a dinner, I am going to focus on that for now. So, you are going to dinner. Even if the restaurant is casual, you will have to dress to impress. Think timeless with a little spice. The trick is to wear something that the mom will approve of without looking like you are going to work or to church. You also do not want to be too trendy. For example, although leather is very in right now I would not recommend it for this occasion. Below are some photographs of outfits I think would be perfect (well, maybe with a few changes). 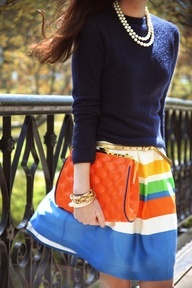 This outfit works well because of the classic crew neck sweater and the flowing silk skirt. Navy blue is always a good color to bring out for this event and the stripes add color and pattern. I would lose one of the pearl strands though. Now this outfit is a little more trendy but I love this whole look for this dinner (minus the sunglasses please). It is comfortable and easy going. The neutral palette appeals to everyone and looks sophisticated at the same time. I also love that she is wearing flats. I would definitely recommend flats or equestrian boots for your evening. Please leave your sky-high pumps at home, no matter how great your legs look in them. In this last outfit, I wanted to point out a couple of things. Dark jeans can usually be worn at a casual restaurant. However, I would encourage you to go skinny, rather than flare, with flats. What is really great about this outfit is the top and jacket. I love how she tucks her top into her jeans; very classic look. The jacket is also adorable and can be worn over a sleeveless top to give you some more coverage. So now you have some ideas. I would also encourage you to get on Pinterest for further inspiration! Most likely, you already own the perfect outfit but just need some help visualizing it. Remember, it is most important to be comfortable and wear something that expresses your personality. Don’t worry…I am sure they will love you! Do you have any thing further to add? Any more advice for girls about to meet the parents? What would you wear? Unlike some of my lucky peers who have jobs already, I have been going to interviews. Since it has been on my mind and I am a fresh source of information, I decided to write a quick post about interviews. I hope this helps any of my readers who are in the same boat as me! 1. Do your research: Before my interview, I always research the company. Some good sources are the company’s website, the news page on its website, the annual report and websites like Vault or Glassdoor. 2. Be prepared: make sure you have all the necessary materials, like a cover letter or resume, before going to your interview. Presentation of these materials is also important, so make sure you check out some examples and print them on a thicker paper. I also carry a little bag to interviews with dental floss, mini sewing kit, a lint remover and some other goodies. You never know what may happen along the way! 3. Know what they want: When you are interviewing, make sure you know the job description. Match what you say about yourself to the job description, if it is true. 4. Know what you want: What do you want from this interview? Do you want them to put you in touch with a colleague or usher your application through Human Resources? Make sure you know what you want before you walk in the door. 5. Dress to impress: It is always good to error on the side of modesty for an interview. A black or grey skirtsuit, a lady-like shell, stockings and mid-sized heels can never lead you wrong. What did you do on your winter break? 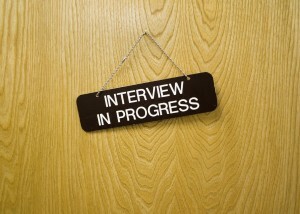 Do you have any good tips for interviewing, dressing appropriately or writing a cover letter or resume? First, I would like to say thank you to Elizabeth for nominating me. Definitely check out her blog, http://theartofpsychology.wordpress.com/. Secondly, I am sorry it has taken me so long to post this! I have just gotten back to school and am beginning to get my life back together after winter break. 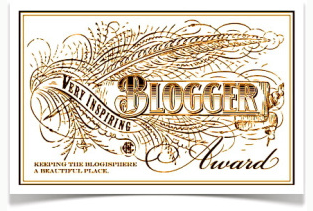 Lastly, I would just like to say thank you to my readers! I am still new to blogging, so I am very happy that someone is actually reading my blog and that it has helped her in some way! If you have some free time, definitely give these blogs a look! At first I was confused. I have only seen glamorous pictures of Audrey Hepburn. She is the woman I think of when I dress for an interview or fancy party. However, as much as I think Audrey is lovely and sophisticated in those pictures, this picture may be her most beautiful. So the point of my study break is to write about how important it is for the most fortunate to help those in need. 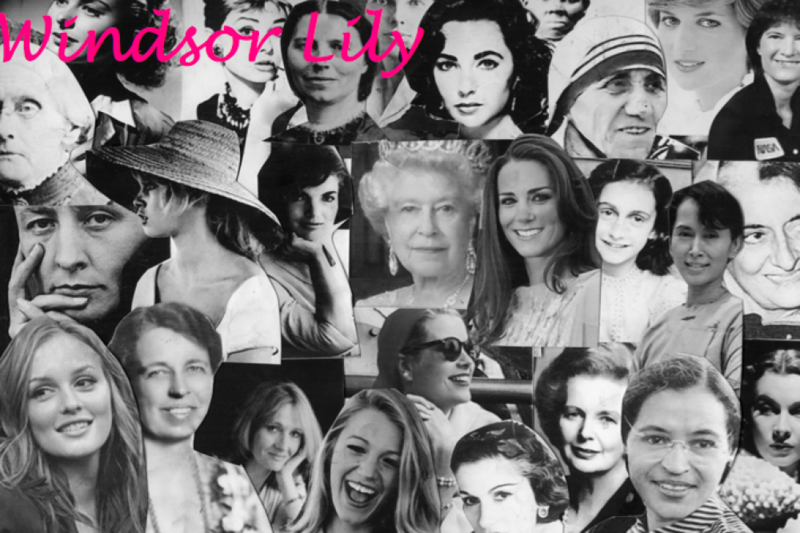 This is particularly important for any young women out there who hopes to become a lady. I would argue that you cannot be a true lady without being willing to give of yourself and to donate time and compassion to those less fortunate. I was lucky enough to go to Garrison Forest School in Owings Mills, Maryland. At Garrison, community service was ingrained in the students from a young age. At UVa, it is now a continuous part of my life, giving tours of the art museum, raising money for my sorority philanthropy and going on service trips to Brazil and Trinidad for spring break. I consider myself lucky to have community service as an active part of my life. However, what do you do if you do not have this? How do you start? First, you need to turn off the TV or computer. Next, you can explore the opportunities. You can go to your local animal shelter and ask what you can do to help. If you are in school, you could start a winter clothing drive and motivate your peers to donate gloves, coats, sweaters and hats, which you can then take to your local Good Will. If you are like me, and busy with exams, how about texting a friend you know is having a rough semester or giving an hour of your time to a local soup kitchen. With these steps, you are closer to becoming a lady, but better yet, a good person. Keep in mind that it is easy to combine community service with a passion of your own. Do you like children? Consider helping out at Sunday school or an abused women and children’s center. Do you like art? What about volunteering at a museum over your winter break? What do you do to serve your community? How do you combine community service with your interests? What are some opportunities I have forgotten to mention? How are you “aligning” up? Occasionally I blog about things that bother me, such as woman saying “like.” I have also found it helpful to blog about things I need to work on myself. Posture is something about which I have to be constantly aware. I know I am not the only one! Looking at young women walking to class or in the library, I see necks and chins sticking out and slumped shoulders all around. Bad posture not only looks unattractive but it can cause health problems like permanent damage to your natural spinal curve, muscle pain and nerve compression. Want to stop? Here are some helpful tips: Inhale and lift your chest up while pulling your shoulders back and shoulder blades down. Pull your chin in, so it does not protrude more than it should. Pull your stomach in towards your spine. Now you are looking good! So how do you keep this up? I have been having trouble with this myself. Every couple of days I remember that I am trying to work on my posture. For a day I stand up straight and feel great! But then the next day I will have a paper due or have to research a company for an interview. Goodbye beautiful, tall woman and hello hunched creature huddled over a computer. While writing this post I have been playing around with a couple ideas. Maybe you could get a friend to watch their posture with you. You all could remind each other daily. Eventually perfect posture would be just a habit! Or perhaps getting a massage, after pinching some pennies, would help your muscles relax. Another idea is to do yoga at night or in the morning. It is a wonderful way to wake up and yoga inherently improves your posture if done correctly. Check out the diagram for a great morning routine! Do you have any ideas about how to make good posture a habit? Do you think young women today have good or bad posture overall? How many of you have gone to a salon and said, “Give me (insert celebrities’ name) hair cut”? Do you look at magazines and wish you could have (insert model’s name) body? When I was younger, I wanted to look like Reese Witherspoon in “Legally Blonde,” Rachel Bilson in the “O.C.” and also about a million other celebrities. Apart from physical aspects, do you ever do or say something just to fit in? 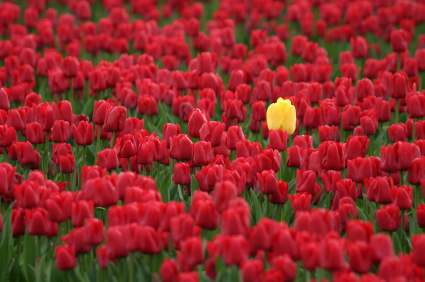 Do you try to conform to the status quo? What about cultivating your own look, your own beliefs and your own unique self? I was up in New York City this past weekend and began thinking, in between interviews, about developing my “personal brand.” This is a process in which you foster your image so that others come to recognize it. For example, Kelly Cutrone is a PR professional who is known for being brutally honest and wearing black at all times. Even if you are not a fan of Kelly Cutrone, you cannot deny that she has successfully established her personal brand. Creating a brand means projecting a definite view of yourself to the world. If you have a personal brand, there will always be people who do not like you or do not want to be associated with your brand. Another woman that has successfully branded herself is Hillary Clinton. You may not agree with her politics, but most women consider Hillary to be intelligent, articulate, and a pioneer, since she was the first woman to run for President in the United States. Even if you are not applying to jobs like me, you can still benefit from personal branding. It does not have to be a commercial exercise, but can be a way for you to figure out who you are. Remember, you are always changing and so can your brand! Who do you think has successfully branded herself/himself? Do you have a personal brand? Do you have any advice about how to build your personal brand? When talking about boys, Cher from “Clueless” lamented “they fall out of bed and put on some baggy pants and take their greasy hair – ew – and cover it up with a backwards cap and like, we’re expected to swoon? I don’t think so.” While I love Cher and agree with her statement about young men today, she is not exactly the poster girl for proper english language. 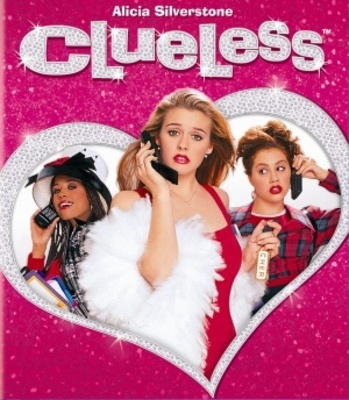 One thing I learned from Clueless is that if you do not have anything to say do not use filler words such as “like” and “um.” Now, I know “like” seems to be ubiquitous. It creeps into conversations like a virus and it is just as impossible to cure. Girls, if you have not gotten the memo, “The Simple Life” is so a billion years ago, as is speaking like Paris and Nicole. Maybe we all need a little grammar lesson. “Like” is a comparison word, synonymous with “similar.” You also might use it in place of “love.” It should definitely not be used to like, fill the silence. Do you say “like” too? You are not alone. I know that there was a time when I would use this word in random, improper parts of my sentences. There are ways to stop yourself! Follow these steps to break this bad habit! One: Become aware of what you are doing. Two: Ask friends or your parents to correct you when you use “like.” After being interrupted and told how many times you are using “like,” you will stop because, honestly, fitting in that useless word is not worth all that drama! Once you stop saying “like” people will listen to you and not be distracted from your brilliant ideas by inane words. Do you say “like?” Have you noticed this word being over used in conversations? Are you going to try to stop? Do you have other ideas about how to break the habit?